Range Rover provides a comfort and luxury with almost unlimited possibilities without any compromises. Equally, at home in the city or on more rugged terrain, this all-wheel-drive SUV is ideal for Adrenaline-lovers as well as Families. Amazingly versatile and robust, combining an impeccable design and the latest engineering technologies, the Range Rover will become your reliable companion in any conditions. 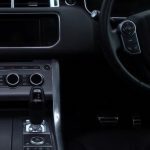 Our Range Rovers for hire selection include the Sport, Vogue, Evoque, Velar and Land Rover Discovery. Enjoy a journey on the luxury SUV Range Rover Evoque that combines unique design and superior functionality in the most incredible conditions. Or conquer new peaks with your family by renting a Land Rover Discovery. Lovers of extreme and luxury will appreciate the incredible opportunities of dynamic Range Rover Sport. Enjoy a bold evolution of an iconic design of Range Rover Vogue. And of course, explore the advanced driving capabilities of the All-New Range Rover Velar SUV. 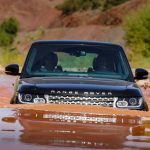 The success of the Land Rover (a subsidiary of Jaguar Land Rover, PLC) began with the release of SUVs Land Rover, attracted due to its qualities by military personnel, rescuers and just fans of four-wheel drive cars. The crème de la crème was a Range Rover, the British company has been working for more than 50 years to improve their cars, creating the most high-quality and worthy SUVs ever leaving the gates of auto plants. The first generation of Range Rover was awarded for the first time in the history the title of the work of art. Through the design and incredible strength, this car made off-road driving luxurious. The company remained true to these principles, only improving from generation to generation the characteristics and equipment of the car, while maintaining the high level of design, the entire interior of a Range Rover, from the finest leather to the precise and reliable electronics allows Land Rover to occupy the leadership position among the luxury cars. Renting premium cars from the Range Rover collection, it is incredibly easy to make a strong impression or go on an adventure. If you rent one of our Range Rovers, you will enjoy a great attention to detail and salon design of the luxury cars. The salon is like an elegant cocoon that immerses the passengers and of course the driver in a sense of calmness as they unwind in soft leather seats. Hire a Range Rover with us to feel the full power of this legendary car. We arrange the delivery of your chosen Range Rover at any convenient time and town in the UK. We also offer additional options such as a child seat, a GPS-navigator, and everything that will make your trip as comfortable, and carefree as possible. We guarantee unforgettable impressions and comfort at a reasonable price. Renting a Range Rover, you yourself will see how much the British have been able to invest in their cars. Range Rover really will change your idea of ​​what a high-class car rental is. You will stand out from the gray crowd of sedans and coupe, proudly towering over them in a stream of cars. Range Rover is a direct indicator of your taste, your status and your ambitions. Whether it’s a weekend trip or a club in the city centre, renting a Range Rover you will be the best way to declare yourself from the very first second of your appearance. 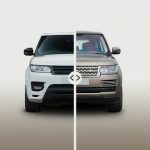 Below you can find currently available models for rental, all our Range Rovers are available for short or long-term hire, including a long weekend option, which is quite popular. Contact us for more details or check now for the availability to rent a selected Range Rover by entering the search parameters in the rental request form.